Virtually everyone has sung his music, yet very few people know his name. Hubert Parry, the composer of Jerusalem and the tune for the hymn Dear Lord and Father of Mankind, was the driving force behind the revival of English music in the early 20th century, and himself wrote five symphonies. One of his most ardent champions is the Prince of Wales, who here embarks on a journey to discover more about the man and his music. The Prince and the Composer features specially-filmed performances by the BBC Philharmonic (conductor: Vassily Sinaisky), Hiroaki Takenouchi (piano), The Choir of Westminster Abbey (Organist and Master of the Choristers: James O’Donnell) and Schola Cantorum of Oxford, with the St Endellion Festival Orchestra (conductor: James Burton, and solo violin: Andrew Watkinson). This is a co-production for BBC Four and BBC Two by Crux Productions and Rare Day. 'Here was a film that broke just about every rule of documentary making... Yet I was completely smitten by it. 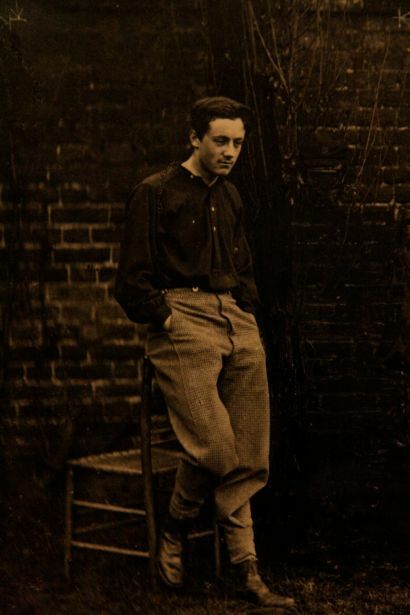 Partly this was because the music was so good, and partly because there was something oddly touching about Charles’s fumbling attempts to explain why he admired Parry so much – “he was a complex man with a mind of his own". Superb and sensitive documentary. We are given a good insight and understanding of Parry's music and life, with some splendid and uplifting pieces to enjoy – not least of all the voices and comments the choir. An excellent film on a much overlooked composer. Prince Charles has showcased Parry's work with live performances; a real treat. I really enjoyed this DVD. It had a lot of never before seen home movies taken by Prince Philip. This DVD is narrated by Prince Charles. This DVD was dramatically better than I thought it would be. I thought it would be good. But it was actually great. If you like history , you will like it. It also shows a more personal side of Prince Charles. It shows a more personal view of the life of the Queen. Prince Charles comes across as a warm caring person in this DVD. It shows that he one day will be a warm and caring King. H_G_G: Watching 'The Prince & The Composer' on BBC4 highly intellectual for a Friday night but thoroughly interesting! ♥ Prince Charles. Yorkiepjm: Now Charles is pushing Parry, can we please have 'Jerusalem' as the new national anthem - pretty please! sausagemouse: Enjoying HRH Prince Charles' programme on BBC4 on Hubert Parry. Lovely treat! AliceMerray: Am thoroughly enjoying this prog about Parry with HRH. He's quite right too - I had no idea #Parry had written other stuff - stuff I love! Mozart: Hubert Parry is a lovely composer. muscateer47: long live BBC4 , love the Hubert Parry programme with HRH, as I did the Elgar prog. Brendan_Surrey: Wonderful BBC4 documentary about Hubert Parry. Licence fee justification night on the BBC. axj: Well I have to say HRH Prince Charles' programme on Hubert Parry on BBC4 is rather lovely. I've been rather captivated. ElysianWeddings: "The Prince and the Composer" (BBC4)-90 minutes about Charles Hubert Parry, presented by Prince Charles and featuring my univiersity tutor! AdrianPallant: Another absorbing John Bridcut film on BBC4, this time on CHH Parry, presented by the Prince of Wales. Worth seeing - 90 minutes well spent. 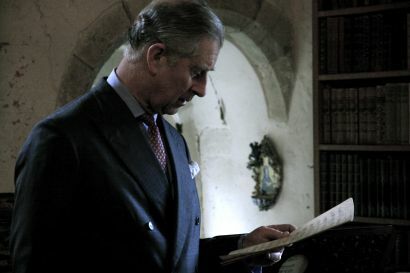 Rgemini: Just watched Prince Charles' program about Parry and his music. I never realised just what a wonderful and varied composer he was until now. AuroraEstella: Watched very interesting programme on Hubert Parry on BBC4 presented by Prince Charles. Will have to try listening to more of his music. SoMuch2Answer4: A night of musical contrasts: an hour of dirty guitar from The Kills @ e Methodist Hall & then Prince Charles on Hubert Parry, composer of Jerusalem, on BBC4. The latter was surprisingly moving; HRH came across as rather sweet and sensitive. Damn. amysmallperson: I am watching the doc about Parry on BBC4. I love it and its making me want to sing I Was Glad.